Out of the ashes of AVENGERS: STANDOFF, a new team is forged! But are they heroes or villains? Do even they know for sure?! The Winter Soldier and his renegade squad rampage across the Marvel Universe, hunting down and destroying bizarre, mind-bending threats — all the while harboring one of their own! And among their number is the serial manipulator Moonstone! What could go wrong? How about a gut-wrenching battle for leadership, an alien threat and a super-team showdown with the All-New Inhumans? 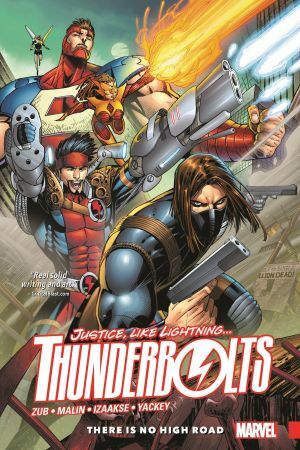 If the T-Bolts survive that bout, it’s on to the main event against another ruthless assemblage: Will the Squadron Supreme deliver justice like lightning to the Thunderbolts? And as CIVIL WAR II rages, the Winter Soldier takes on Spider-Man — and only one of them will walk (or swing) away! 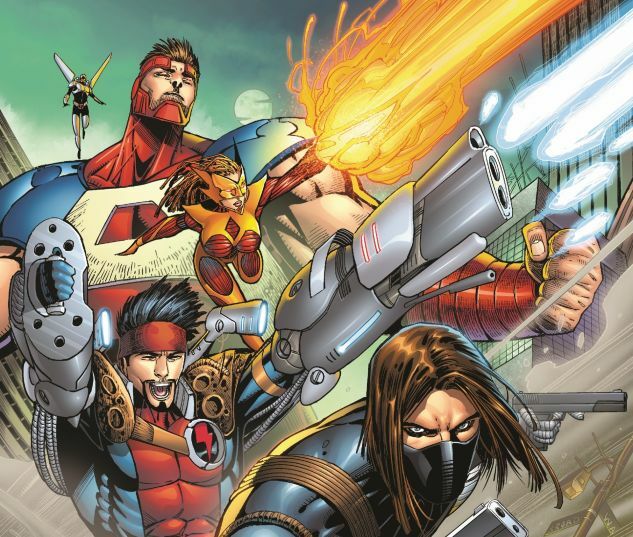 Plus: With security agencies and super hero teams around the world gunning for the Thunderbolts, Mach-X and Atlas will risk it all for what they believe in. 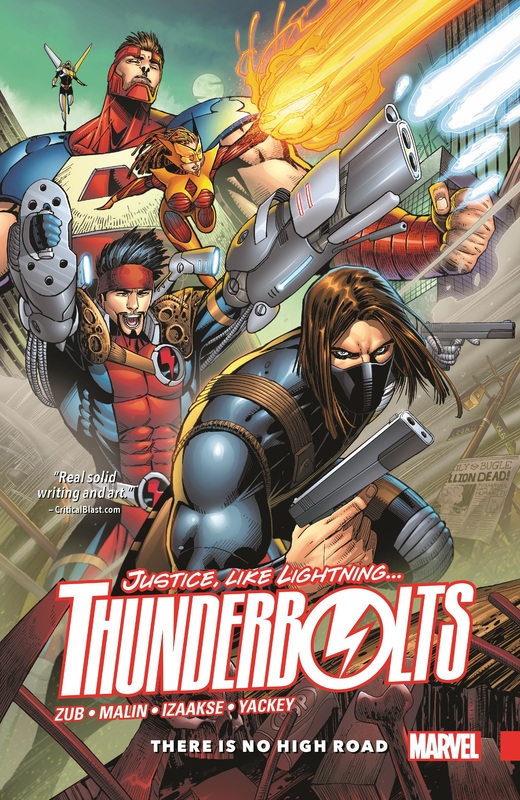 Collecting THUNDERBOLTS (2016) #1-6.